​Jack Thomann came to Amy and said that he was going to redo our parking lot .... for free! ​Amy said, "Do you know how long we've been praying for our parking lot to be redone?" ​He said, "Yes, I do because God's been pulling on my heart for awhile." ​Thank you Jack and God! Buffalo's own Angel comes to Gospa Village! 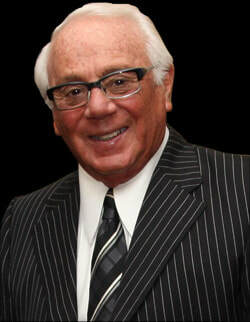 ​Russell Salvatore announced that he will build the 6th house at Gospa Village at the Gospa Village Gala on October 27th. ​He is partnering with Gospa Village to provide a stable, supervised living environment for mothers and their children. The goal? To protect and empower mothers and their children while they develop the skills to become independent, healthy and functioning family units and therefore end generational poverty. 5 It is well with the man who deals generously and lends; who conducts his affairs with justice. 6 For the righteous will never be moved; he will be remembered forever. 7 He is not afraid of bad news; his heart is firm, trusting in the Lord. 8 His heart is steady; he will not be afraid, until he looks in triumph on his adversaries. 9 He has distributed freely; he has given to the poor; his righteousness endures forever; his horn is exalted in honor. ​​​​​Prayers answered - Praise the Lord!! 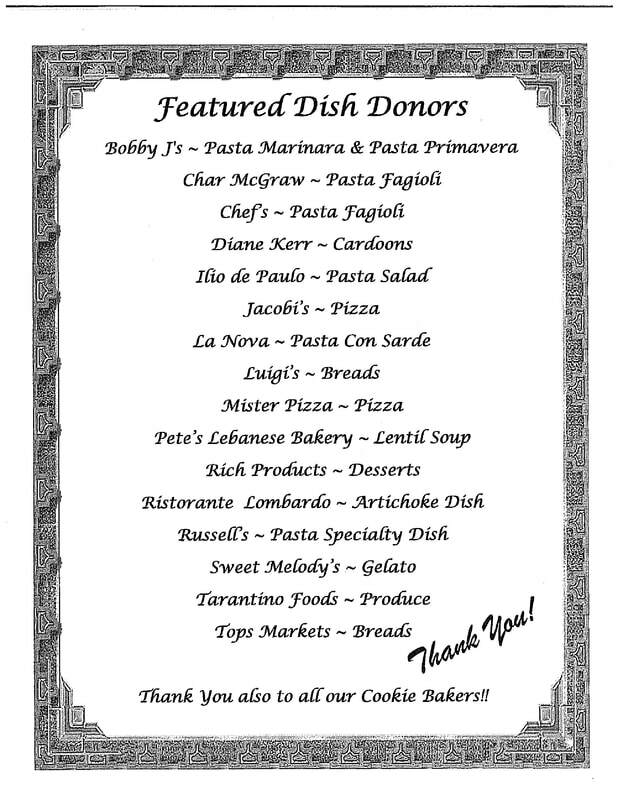 From Norm, Amy, the missionaries and all who serve and are served by St. Luke's Mission of Mercy, a sincere thank you for your generosity & support. We put out a plea for help and YOU responded in record time. Donations, both big & small have been coming in at record rate from our friends and we have reached our goal in about 24 hours! 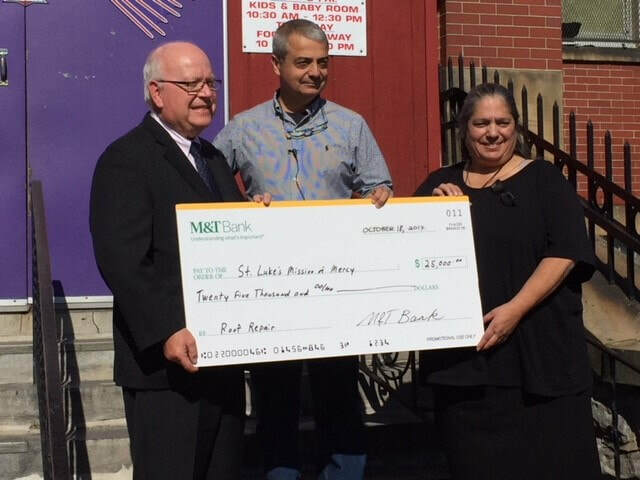 We are especially grateful to M&T Bank for their $25,000 check to help our community.